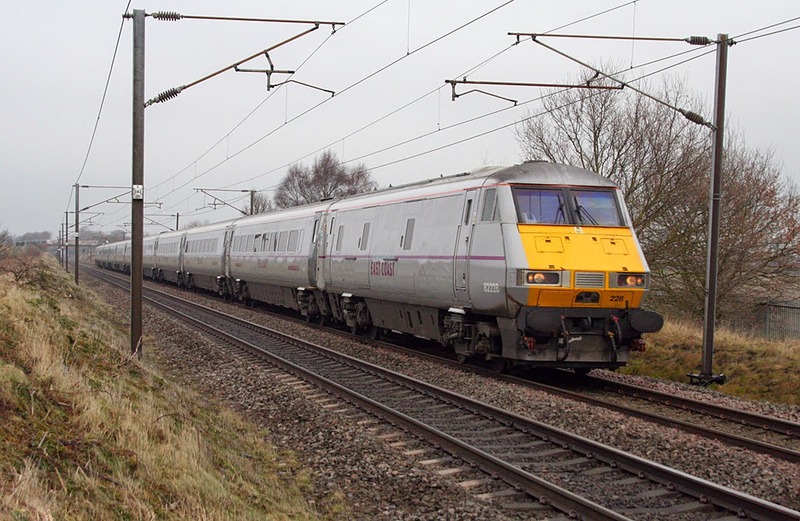 Paul Beardsley has kindly provided a small set of pictures taken by him on Valentine’s Day 14th February 2015, whilst alongside the East Coast Main Line at Penny's Crossing, Rossington. 67026 Diamond Jubilee is in charge of UK Railtours The Settle and Carlisle Winter Wonderland, 1Z66, 0817 London Kings Cross to Carlisle. 67005 Queen's Messenger was on the rear. 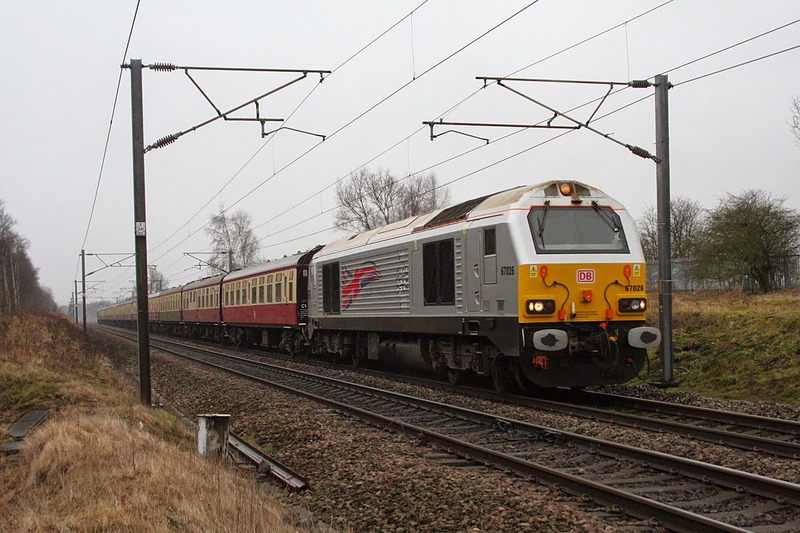 East Coast liveried 82228 leads 1E06, 0650 Glasgow Central to London Kings Cross. 91121 was providing the power on the rear. Not long to go now before the franchise change. 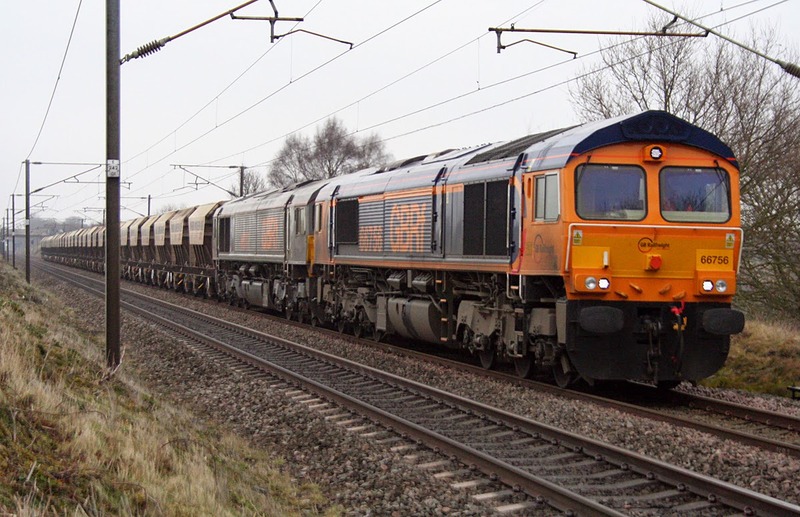 GBRf 66756/66747 are in charge of the 1051 Doncaster Down Decoy to Peterborough empty PGA wagons. 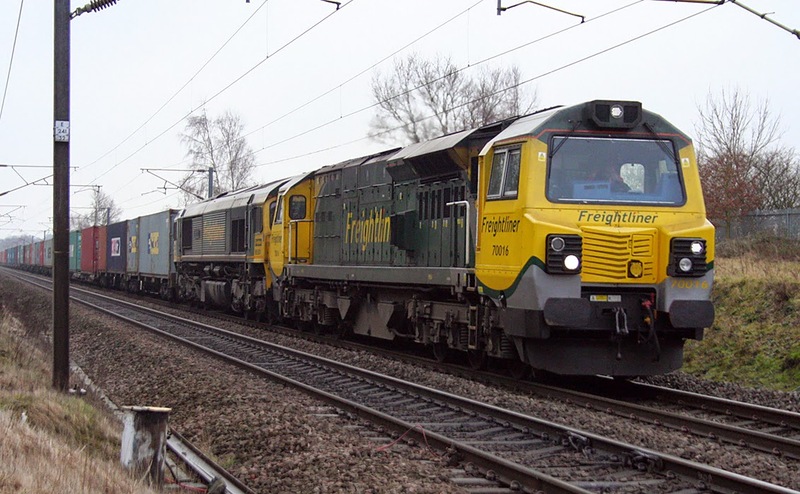 70016 and 66501 Japan 2001 are in charge of the 0614 Felixstowe North F.L.T. to Leeds F.L.T. 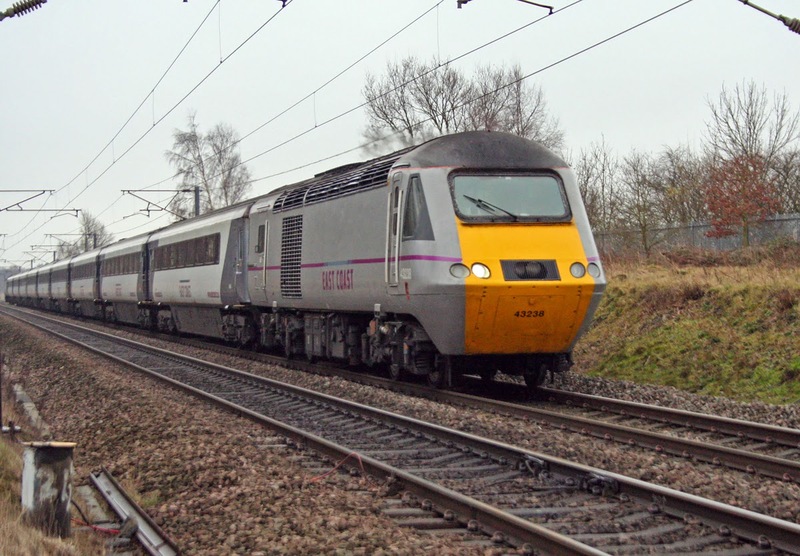 43238 is leading 1S11, 1000 London Kings Cross to Aberdeen. 43299 is on the rear. 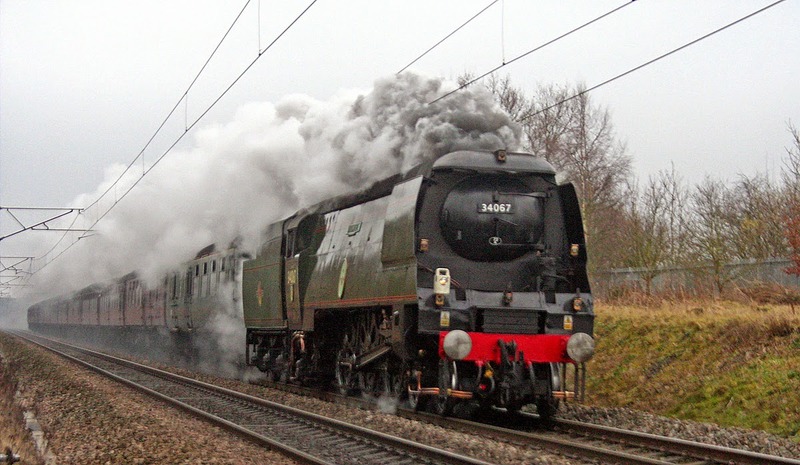 Railway Touring Company's The Valentines White Rose, 1Z26, 0708 London Kings Cross - York was in the hands of Battle of Britain 34067 Tangmere, standing in for A4 60009 Union of South Africa which was unavailable. From ancient nostalgia to modern innovation. 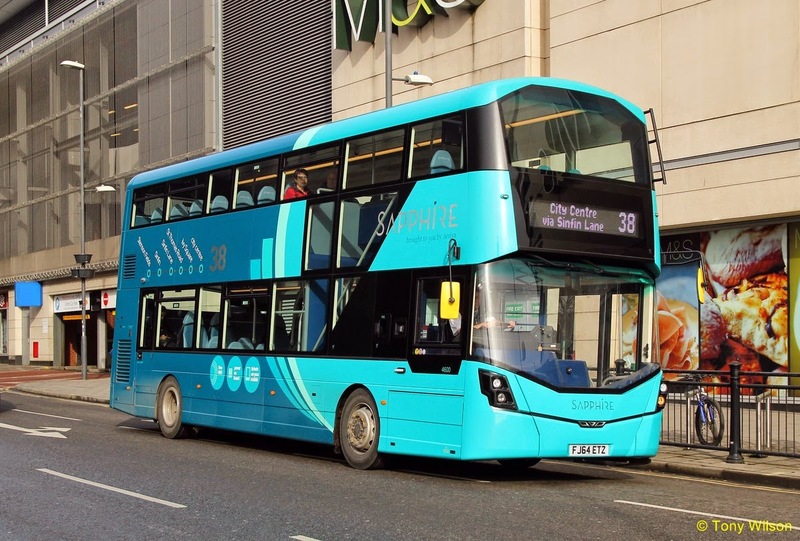 The latest design from Wrightbus is the Streetdeck. 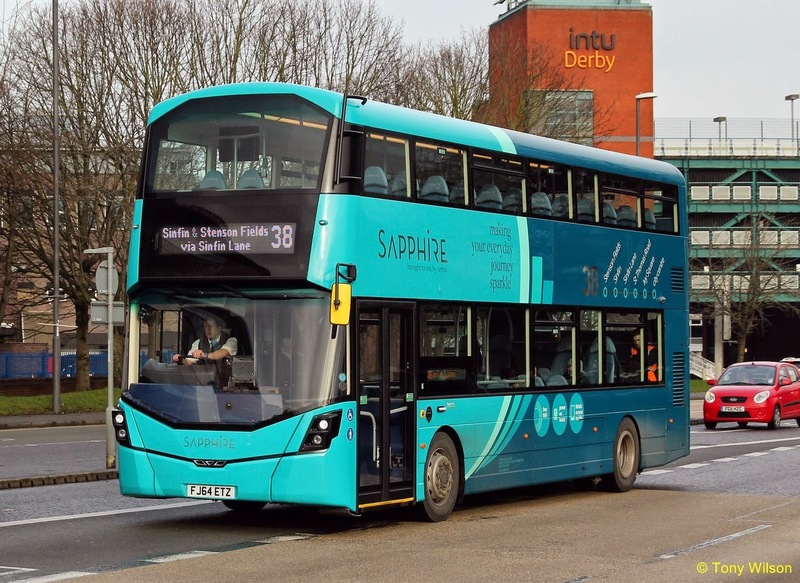 Whilst the mechanics beneath are Daimler (Mercedes-Benz) engine coupled to a Voith gearbox, outwardly the bus comes as something of a change with its appearance. Although that said, the established Eclipse Gemini 3 body style is available as an alternative.